Growing up, Joe Meyer loved sports. In elementary school, he played basketball and baseball. The summer before he entered eighth grade, the Jacksonville, Florida, youth decided to give football a try. Before he took to the gridiron, Joe visited his pediatrician for sports physical. At that appointment, his doctor noticed a heart murmur. Joe, then 14, couldn’t be cleared to play until he went to a cardiologist. In August 2011, after seeing a pediatric cardiologist and having an echocardiogram and stress test, Joe was diagnosed with obstructive hypertrophic cardiomyopathy, or HCM — an incurable disease, usually caused by gene mutations, in which the heart muscle becomes abnormally thick. The diagnosis took Joe away from sports and other physical activity for several years. But under the care of his medical team at Mayo Clinic, Joe is now active again, and he’s working to raise awareness of heart disease, particularly in children and teens. Hypertrophic cardiomyopathy affects about 1 in 500 people — about 0.2 percent of the population. It tends to affect men and women equally. The symptoms may include shortness of breath, chest pain, palpitations, fatigue and passing out. A serious condition, the condition is a common cause of sudden cardiac arrest, especially young athletes. “In Joe’s case the partition between the two bottom chambers was so thick that it caused obstruction within the heart cavity and impeded blood flow out of the heart,” says Mohamad Yamani, M.D., a cardiologist at Mayo Clinic’s Florida campus. After the diagnosis, Joe was given medication to relax his heart muscle and decrease the obstruction within the cavity of his heart — and he was told not to participate in any sports. Once school started in the fall, Joe began having episodes of shortness of breath, chest pain and a racing heartbeat. That operation was a septal myectomy. In July 2014, after several six-month follow-up appointments, Joe's doctors recommended the surgery to remove the part of his heart that was causing thickness in the left ventricle. Joe missed the first quarter of his junior year, but he didn’t have any more episodes after the surgery. In early 2015, Joe transitioned his all his medical care from his pediatrician to Mayo Clinic. Dr. Yamani and the team of congenital heart disease experts would work with Joe to help manage his condition as he entered adulthood. Dr. Yamani expressed concern that Joe had become deconditioned because of lack of exercise, which was not ideal for a growing teen. Dr. Yamani told Joe it would take a long time to recondition his heart, but he wanted him to start walking a mile a day and regularly monitor his heart rate. He also adjusted Joe’s medication. At 19, Joe now attends the University of North Florida, where he’s studying communications, and he enjoys spending time at the beach and going to the movies. Joe says he plans to add weight-training twice a week to his exercise routine in 2017 and hopes to do lots of traveling, including visiting Chicago and Seattle. 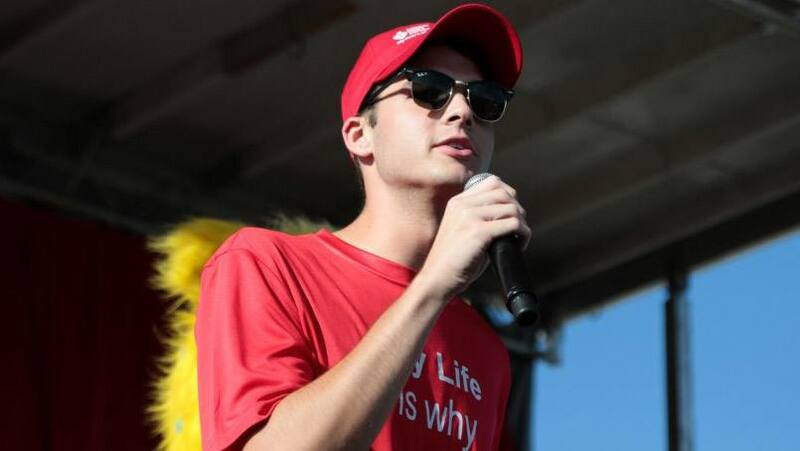 Joe’s journey from diagnosis to living with a serious heart condition at a young age has turned him into an advocate and spokesperson. “People don't’ understand how quickly it can change your life,” he says. In addition to volunteering, he has been interning with a local chapter of the American Heart Association. Joe also works on an initiative to get middle and high school students trained to do hands-only CPR. And he is helping the American Heart Association organize Jump Rope for Heart events at local elementary schools. Read about Mayo Clinic’s Division of Cardiovascular Diseases.